Butler, Party of 4: What do you BELIEVE about God? Ever had some head knowledge that doesn’t line up with your heart? Something you KNOW to be true but have hard time grasping, believing, feeling, and claiming for your life?? We are in an awesome new Sunday school class - an answered prayer for us to be mentored by wise and godly couple whom we admire. One thing we learned recently in class that is reiterated every week is that we as humans parallel the trinity in the fact we can be described by three different parts- soul, spirit, and body. The spirit can be divided further into three parts as well- the mind (thinker), will (chooser), and heart (feeler). This makes perfect sense and is backed up in Scripture. It’s important to recognize these different parts of ourselves so we can recognize when our heart, our emotions, our flesh, or the enemy, are trying to deceive us. Unfortunately,these don’t all match up all the time, and that can leave us feeling confused. My brother passing absolutely rocked my family’s world and cut me to the core. I can’t even describe the whirlwind of grief and emotions that have flooded our hearts. One thing I have learned (and I already knew, but witnessed first hand) is that everyone grieves very differently and it’s super important to respect (without judgment) each individual’s grieving process. I have relied on my faith more than anything to get me through losing Michael. More than any person, memory, distraction, etc. I am so thankful for that testimony and God’s faithfulness to provide peace and comfort through pain and heartbreak. The women's retreat came at a perfect time, but challenged me to examine my faith on a deeper level. And to be totally transparent, I have a lot of growing to do. Like, embarrassed to even admit kind of growing. It challenged me to question what I REALLY believe about God. I tried to imagine myself in Ragan’s shoes and think about how I would manage life without Jonathan. It makes me sick at my stomach to think about and beyond sick for her that she has to do life without Michael. As I began to really examine my heart, my mind was flooded with “What if…” I were to (Heaven forbid) lose my husband; my parents; my baby; my family; my home; my health? How would I react? What would I believe? Would my faith be strong enough to get me through?? Despite knowing all the promises of God’s Word and seeing Him answer them in my own life time and time again, I can’t say with pure assuredness that I know how I would respond to that type of loss. I would love to be able to say that my faith is strong enough to get me through because I know & believe that my God is BIG enough and CAPABLE enough…but do I TRUST the Lord enough fully depend on him alone? Do I believe he is really doing all things for good? He is always for me? Will never leave me nor forsake me? Hears my prayers? The truth is… what we believe about God is the most important thing about us. It impacts every other area of our life- how we view ourselves, how we love others, how we treat others, how we forgive, our thoughts, actions, and attitudes, how we respond to trials, how we react to hurts, how we respond to victories- everything. EVERYTHING in our lives is dependent on what we deep down, in our core, truly BELIEVE about God. And I’m not just talking about head knowledge. I’m talking about HEART knowledge. I’m talking about our soul, spirit, and body. Getting our mind, heart, and will (spirit) in agreement. But let’s be real. They are not fun. In fact, they can leave us feeling discouraged, overwhelmed, frustrated, lonely, depressed, angry, confused, hopeless, and uncertain when we try to rely on ourselves or anything/anyone other than God to get us through. I just finished teaching a Bible study on a book called Unbroken. My computer crashed so I don’t have all the notes, but I encourage you to read it. It was a great reminder to me about the promises of God. 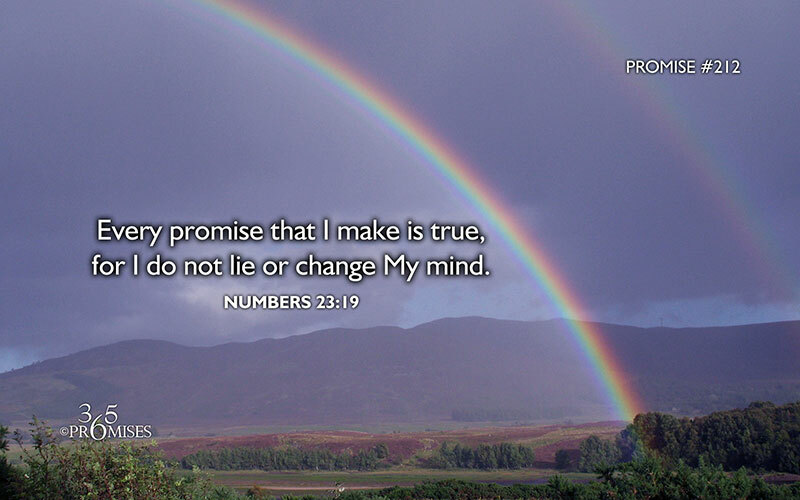 Promises we need to make so REAL in our hearts that we will cling to them when the trials come our way. I will never forget the morning of March 29th, 2014. I was nursing Jase when my phone rang. I didn’t want to get up from feeding him to answer, but it rang again and Jonathan’s phone rang at the same time. My heart sank and I immediately knew something was wrong. Bad wrong. My mom and sister were both calling. We answered the phone to a pretty hysterical urge to get to the hospital immediately- that something was wrong with my brother. Normally when we get news like that we hit our knees to pray together, but I started frantically getting ready to get out there as fast as possible because I knew my family needed me. We got a call back in about 5 minutes and my mom wanted to talk to Jonathan. She didn’t want to tell me, but I knew. I could hear her weeping and moaning and couldn’t decipher anything she was saying, but I knew. Jonathan’s face sank too and I just fell to the ground because I knew what he was going to tell me. I wanted him to stay home with Jase because I had no idea how long I would be gone, but I got to Michael’s house as fast as I (safely) could. I felt a sense of disbelief and could do nothing cry out to God the whole drive over. It took me about 40 minutes and felt like an eternity. It was such a nasty morning- somewhat rainy, cold, and just grey. I pulled up and saw family standing outside. I was the last one to arrive. My face was soaked with tears. The first people I saw were my niece Madison and my sister Stephanie. I hugged Madison, everyone crying, and the only thing that came out of my mouth was “I am so, so sorry. I have no idea why this happened, but I know God always works together for the good of those who love Him and he promises to never leave us and never forsake us.” At that time I heard the most agonizing cries from my mom. She was moaning - pure weeping over her son. It was a sound I hope I never have to hear again. She has been a ROCK for our family since then, but she has told me since then that she needed that hour to just weep. Seeing my sister-in-law and the kiddos, and knowing their life would never be the same broke my heart. Watching my parents agonize over losing a child- their only son- is something no parent should ever have to face and my heart hurt beyond words for them. That was the saddest day of my life in my entire 28 years. It feels surreal and was so devastating seeing everyone in my family- my mom, my dad, my sisters, and Michael’s family- Ragan in the kids- in such pain. But what I can tell you is that even in the pain there was a peace. A peace only God can give. Several times as we were all together through planning the funeral I prayed out loud for our family- and the only thing I could pray was God’s promises. I challenge you to dig in the Word, read and understand God’s promises, and meditate on and memorize Scriptures. 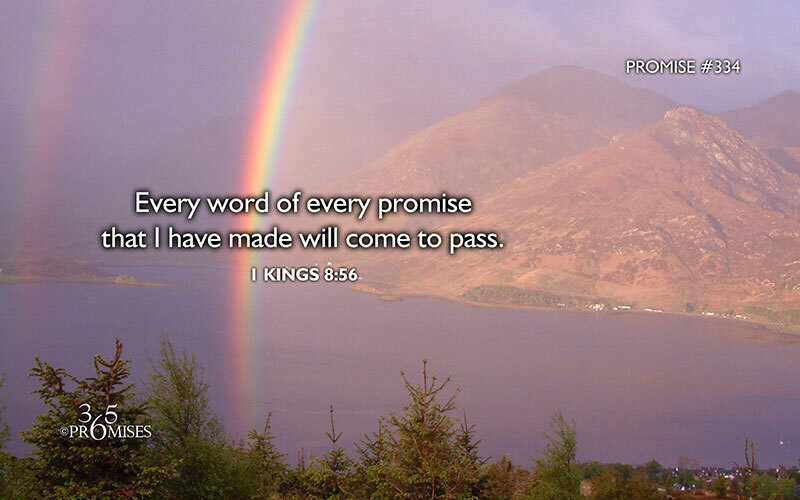 You never know when you will experience something in your life and those promises will minister to your heart. These are a few of my favorites that have continued to bring me comfort, but there are SO MANY in the Bible. If you are a believer, I encourage you to make up our mind NOW as to what you TRULY believe about God. It’s easy to say you believe it, but it’s difficult to LIVE like you believe it. As hard as this has been, I appreciate God using this to draw me to Him and to reveal to me where I REALLY am in my walk. It’s not where I would like to be, but thankfully I serve a mighty God who can help me get where he wants me to be. Thanks for writing and being so honest. I just won my battle with a rare form of ovarian cancer and I can tell you, you can always wonder how you will respond in a moment like that, but when you believe in God, it all just falls into place. Just as you described, God is so faithful. He never leaves our side and in every moment of our life is to testify of his great love. I cried through your post on your brother and know God was there. He is still there and working out his purpose in everyone's life who was affected by your brother's passing. God is beyond faithful. Keep writing! You never know who will read posts like this and have God change their hearts. I am trying to do the same with my experience. Thank you for this breath of authenticity to read this AM. You should print this out (along with a boatload of your other well written blogs) for Jase and your future children. It's real and raw and so powerful…I couldn't agree more with everything you say and my heart still aches for you, friend. It's good to put it into words so that others can learn from you as well…thank you. Sending lots of love to your family always. A good friend of mine lost her 24 year old son to suicide. When she found out, she wailed like your mother did. I cried just reading how your mother responded. The worse thing that could ever happen to a mother is to lose a child. It must be an instinct to wail...heartbreaking. We can never know how we will respond to trials since we don't have God's strength and grace upon our thoughts and fears. We can be assured that He will carry us through our trials when they do happen. He has proved Himself over and over again and all we can do is rest in this Truth. I happened upon your blog after coming across the Being A Gody Wife post on Pinterest and being on a new journey to a relationship with God , I am so grateful to have found your words . You have an eloquent way of stringing them together that has left me more eager to learn , more willing to trust , and more open to His word . " If only you could sense how important you are to the lives of those you meet ; how important you can be to people you may never even dream of . There is something of yourself that you leave at every meeting with another person " - Fred Rodgers . I am so thankful to have "meet" you . p.s. I have searched your blog but wonder if I may have missed it .... did your husband ever post Being A Godly a Husband ? ?